Truth by Kbaig: International Game Plan against Pakistan and Internal Political Unrest..! International Game Plan against Pakistan and Internal Political Unrest..! National tragedies does not happen at once; they are being hatched years along. Venom of nepotism, corruption, hoarding, undue profit, bribery, incompetence, arrogance of temperament and desire for absolute power is present in all nations, tribes or human groups especially in those persons who either have government or control over other or relatives of Chiefs in powers etc. If power or control is in the hands of those who fear god or have their conscience alive than all these evils are suppressed and human subjects enjoy peace. In contrast to this if power is in the hands of the person suffering from Pharoahism then all these human weaknesses become uncontrolled evils which satisfy the ruler suffering with these human evils while society becomes a hell and humanity suffers. If we look at the history, it is full of such stories when the rulers claiming to have control over fate and lives of their subjects made it harder for their subjects even to breathe. Creation of god was divided into families of rulers and slaves. The blessings of nature that were necessary for life were made fate of rulers while poverty and lack of self-respect was made fate of the subjects. Pharoah like rulers denied right of education to their subjects as awareness might awaken the slaves, enlighten them to their rights. However, whenever human conscious was awakened this ended in revolutions. After countless loss of human lives, human conscious concluded that only democracy is such a system that may safeguard against further loss of lives by giving equal rights to everyone. This was the dawn of the democratic governments. Foundations of political parties were laid in order to accomplish the goal of democratic system which resulted in the end of the monarchies. On the basis of this democratic thought Muslims of sub-continent started the campaign of a separate homeland based upon the Two Nations Theory under the leadership of Quaid-e-Azam Muhammad Ali Jinnah. However, Pakistan became orphaned due to death of Jinnah after short time of independence and control shifted to those who were facilitators of English before independence of Pakistan. On the advice of English these servants of British govt. joined Muslim League numbering in masses. Perhaps for these elements Mr. Jinnah had said that he has some corrupt elements along with his as well. Whatever had been done and is being done in the name of democracy is no more a secret; the fruits of democracy for Pakistanis like increasing poverty, unemployment, destruction of economy, increasing internal and external debt over national treasury, devaluation of currency, however, wealth of elite class is increasing by leaps and bounds and these scandals of corruption have now made its place in the international media as well. Was this Pakistan dream of Allama Muhammad Iqbal? The current Pakistan, in which every happiness and facilities belong to the elites and slavery fate of common man generation to generation. They say Pakistan has a Constitution but its articles that clarify the basic rights of general public are never implemented; Constitution of Pakistan guarantees protection of life, property and prestige to everyone, makes government duty bound to provide facilities of health and education equally to everyone; but poor are being denied these rights that have been declared by the Constitution of Pakistan. Because the feudal mindset controlling the democracy in Pakistan can never tolerate the equal rights for poor. 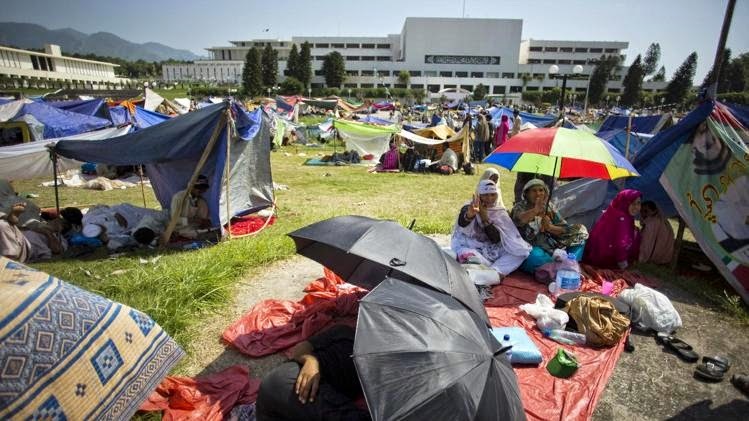 In Pakistan democracy and Constitution has become a tool in the hands of corrupt politicians and this is the result of high jacking of democracy in the hands of elite class to protect their own damn interests that we have been trapped in a dead end. The protests that started in 14th August 2014 and remained peaceful for 2 weeks have now become violent. Few people have lost their lives while injured number in thousands and still there is no apparent hope for any solution. 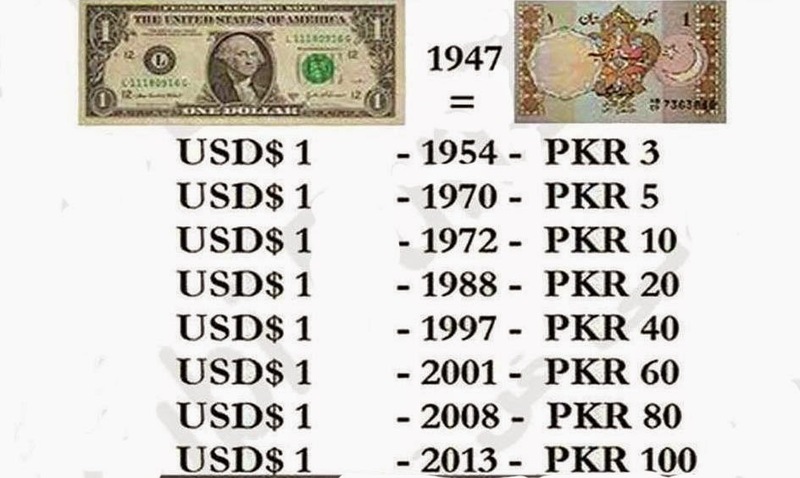 How will nation get out of this situation? Every Pakistani who has some thinking not only seems worried but confused as well. Right after the Elections of 2013, a political party expressed concerns over results of four constituencies and demanded recounting of votes but ruling party did not give any attention to these demands. When these demands were converted into a torpedo; elected party accepted demand for investigations of rigging in four constituencies but these demands had become valueless for the protestors. But painful aspect is that army which had kept itself away from politics since 2008 is being blamed for political disputes created by arrogance of few politician by Indian funded AMAN KI ASHA brand media group. Army is being in war against terrorists in Northern Waziristan which have not only support of India, Afghanistan and other foreign powers but from the elements within Pakistan as well. Terrorists attack Pakistan from Afghanistan in the form of troops and Afghan National Army provides support to these terrorists to cross border by unprovoked firing over Pakistani Military Check posts. Not only this; puppet Defense Minister of Afghanistan is threatening Nuclear Power. On the Eastern side of the border under the same game plan Indian army had violated ceasefire more than 140 times in last three months; one Pakistan protested over these violations India started propaganda against Pakistan and beating old triumphant that Pakistan is supporting terrorists (trained by RAW) for terrorism in India in order to exploit international community especially Indian community. UN observers are fully aware of these violations over LoC and Working Boundary by Indian forces but international media at the beck and call of few international powers did not pay any attention to the reports of UN observers but give importance to Indian propaganda. That is why more than 5 Indian Channels having international viewership have launched a propaganda campaign from last 10-12 days over protests in Pakistan that Pak-Army and ISI are behind these protests. Under the influence of such propaganda US had issued statements twice that she is against change of govt. through violent protests. 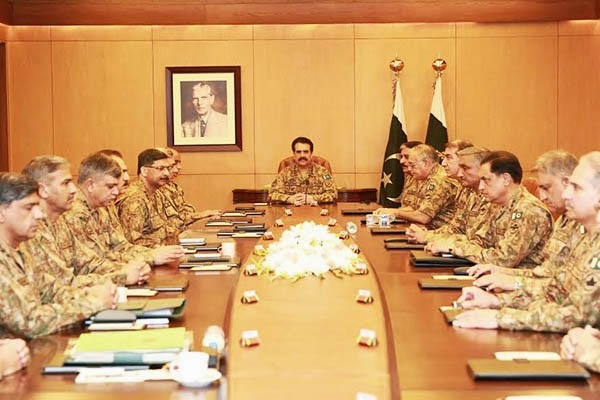 Pak army had not given any expression of not accepting orders of govt. After the AMAN KI ASHA brand media group and its propaganda over Baluchistan and Pak army was unveiled and it had to get silence in order to avoid public reaction; but now once again propaganda on the same lines as of the mainstream India Media has been started against national security agencies especially Pak Army fighting against foreign funded terrorists in North Waziristan on one hand and facing the problem of rehabilitation of Internally Displaced Persons on the other hand. In such a situation nomination of famous (notorious in proper words) Pakistani Lawyer and Human Rights worker (who is blind to indian violations of human rights in Indian Held Kashmir and other parts of India) Mrs Asma Jahangir for investigations of alleged human rights violations and pre-judicial killings of Indian trained terrorists i.e. 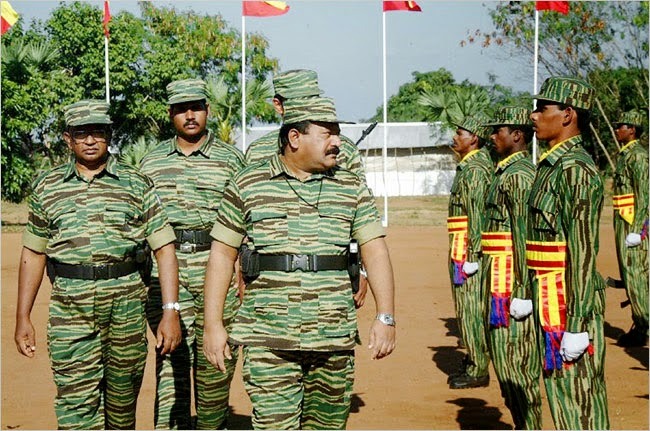 Tamil Tigers by Sri Lankan forces and govt. for restoring peace and law and order in Sri Lanka. 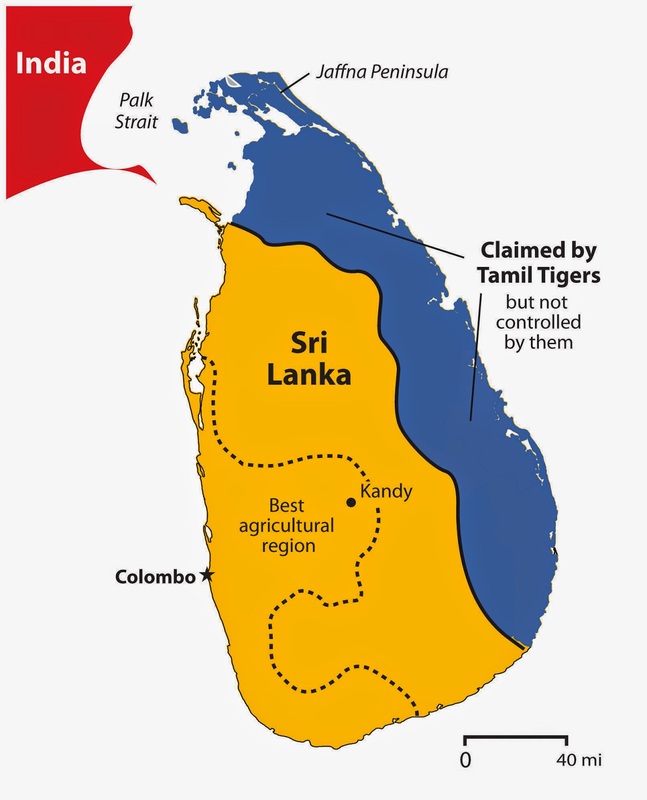 Despite of being a small country of the region; Sri Lanka always supported Pakistan against India and Pakistan always supported Sri Lanka to crush Indian supported Tamil Tigers terrorists on diplomatic and moral fronts. Defeat of Tamil Tigers is known as defeat of India on international level. This war has ended 5 years ago but India had been struggling to take revenge from Sri Lankan army of her defeat by blaming Sri Lankan army for human rights violations and working for last five years for start of investigations or case against Sri Lankan govt. by UNO. 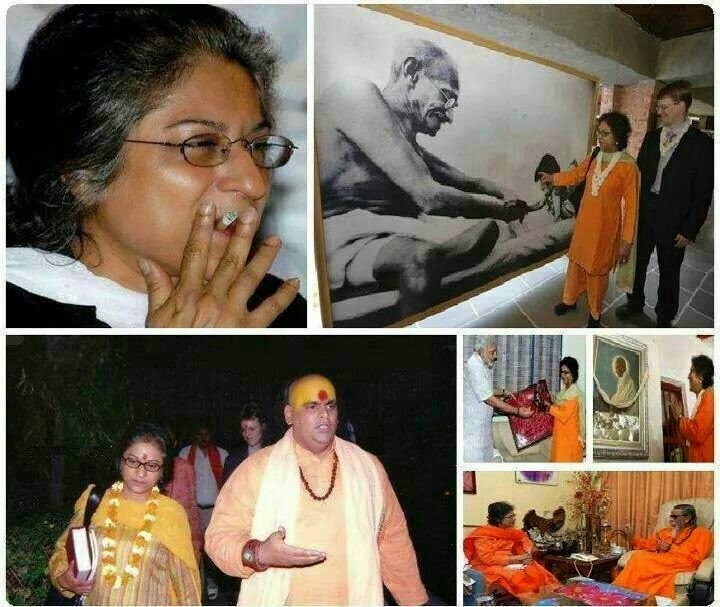 Asma Jahangir along with other two persons was nominated by India. Sri Lankan government, media and public are concerned over the tone of Asma Jahangir in an interview to BBC after her nomination for investigations against Sri Lanka. Asma Jahangir has warned Sri Lanka that if Lanka creates any hurdle in the investigations, denies access to public etc. for human rights investigations commission to know the facts then consequences would not be in favor of Sri Lanka. Sri Lankan government was expecting that Pakistani government would stop its citizen from creating problems for Sri Lanka or at least express indifference to her statements. 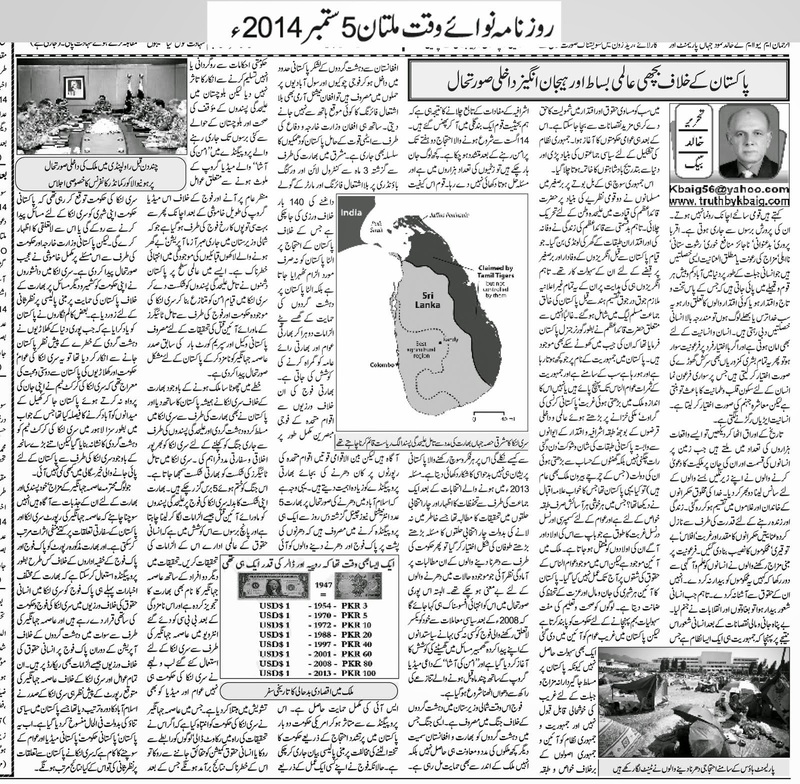 But silence of Pakistani Foreign Ministry and government had made Sri Lankan govt. pessimist; Sri Lankan intellectuals had pressured their govt. to revise its policy over Indian Held Kashmir and Pakistan against India. Few Sri Lankan columnists had tried to remind Pakistan that when players from all over the world had denied to visit Pakistan due to threats of terrorist attacks it was Sri Lanka who sent its Cricket team to Pakistan and as a punishment for visiting Pakistan, Sri Lankan team had to face life threatening terrorist attack in Lahore but in spite of such a big tragedy Sri Lanka had never changed stance for Pakistan.